NASA and several partner firms have been working on the X-57 Maxwell electric propulsion demonstrator for the past several years. It hasn’t been as easy as it looked at first. Encouragingly, NASA is sharing some of the hard lessons it has learned in the process, much like Elon Musk sharing many of his patents with the world. One of the hardest lessons involved the multiple battery packs, originally planned to be off-the-shelf units. A December 2016 test resulted in a thermal runaway, a situation in which one cell that overheats can self-destruct and cause adjacent cells to follow suit. This, as we’ve seen in Dreamliner incidents, can be dangerous and potentially deadly. Such fires are exceedingly well reported, with any Tesla incident overwhelming the press, which ignores the 174,000 car fires reported by the National Fire Protection Association in 2015, which resulted in 415 deaths and $1.2 billion in property damage. Electrified aviation will be even more critically examined if electric fires bring down a craft. Intentional overheating of one cell in a test battery module started a “cascade” effect in which heat spread from one cell to the next. 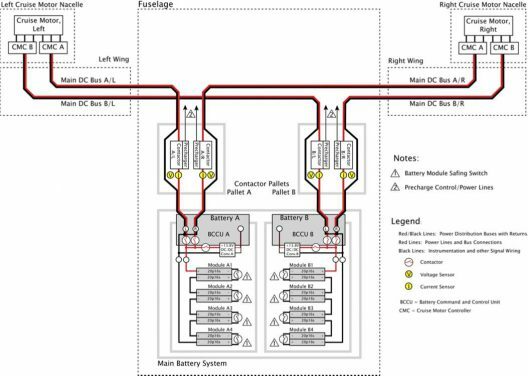 Experts at NASA’s Glenn Research Center in Ohio and Johnson Space Center in Houston collaborated with Empirical Systems Aerospace in California to redesign and construct safer battery modules. 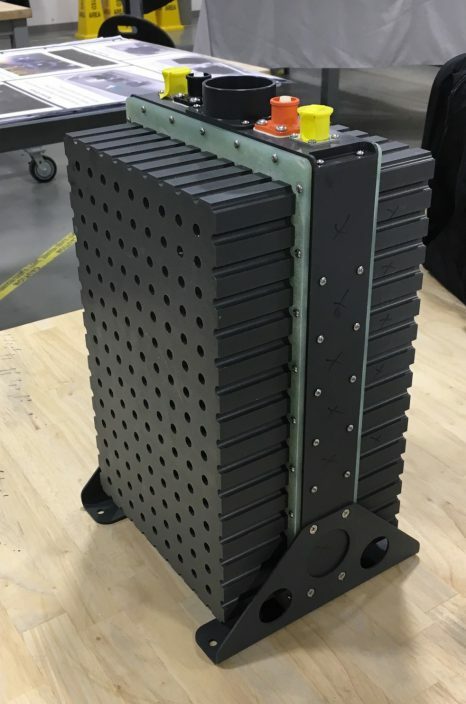 Subsequent tests at an Electric Power Systems laboratory in Logan, Utah demonstrated the redesigned battery pack’s ability to produce flight-ready current levels throughout takeoff and cruise without overheating. New modules will feature a “honeycomb block” of aluminum holding individual cells. Space between cells should prevent overheating and thermal transfer between cells. Matt Redifer, chief engineer for the project at NASA’s Armstrong Flight Research Center, says initial data shows repeating December’s test will not cause a thermal runaway. To provide more space among cells, the plane will carry 16 smaller modules instead of the original eight, according to an email to Popular Mechanics from Sean Clarke, NASA’s principal X-57 investigator. Redifer explains the new modules will add 45 kilograms (99 pounds) to the airplane but are a necessary concession to safety. “The battery is a means to an end, rather than an area where the X-57 team is trying to innovate. Our battery is heavier and probably lower energy density than you might get out of, say, a Tesla [electric car lithium ion] battery.” To help prevent thermal runaway from spreading, the X-57 will now have 16 320 cell modules instead of eight 640-cell units. Containment has been a major concern in the redesigned modules. Electric Power Systems’ safer battery packs became part of George Bye’s Sun Flyer 2, and will probably additional data to NASA as they accumulate hours in the production training aircraft. 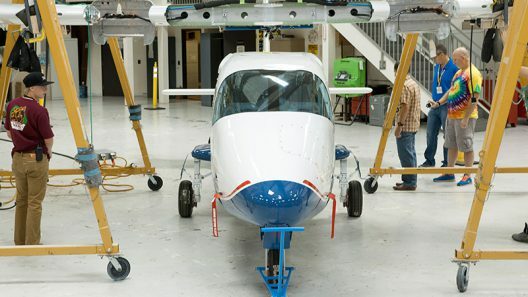 The batteries are part of Mod 2, a step in converting an Italian P2006T originally powered by twin Rotax engines to an electric craft with two “cruise” motors on the wingtips and a dozen “high-lift” motors distributed along the high aspect ratio wing’s leading edge. Joby Motors supplies the 22-pound, 10-kilowatt (13.4 horsepower) lift motors and the 57-pound, 60-kilowatt (80.4 hp.) cruise motors. 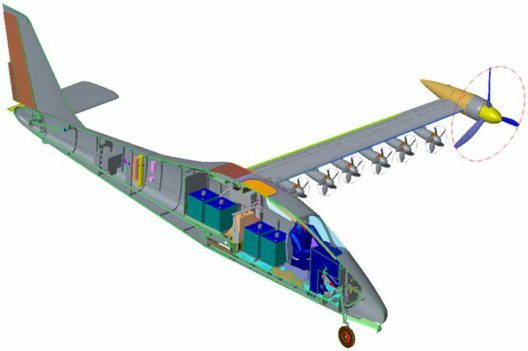 This distributed electric propulsion should generate enough lift by blowing over the top of the wing to enable the airplane to take off at standard P2006T speed even with a wing of about half the area of the original. With the battery issues solved and motors under test, NASA has now approved the final of four planned phases of the X-57 program. These will include mounting the high-aspect-ratio wing, installing the high-lift and cruise motors and performing flight demonstrations by late 2018 or early 2019. That civilian off-the-shelf (COTS) batteries may not have fulfilled their mission and set the program back about a year, but that year brought about improved battery packaging and control, and time to refine the complex control systems on the MOD 3 wing. Pilots will gain additional simulator time to sort out how to deal with 14 motors. With safety as a watchword, the X-57 Maxwell should be able to achieve its lofty goals, including flying on one-fifth the energy of the original, with ease.